SINCE the inauguration of the present strike in the coal mines of Northern Colorado, now in progress three years?, we have heard and read, from time to time, the harangues of professional agitators (and others) portraying the tyranny of the rich coal barons who have waxed fat at the crib of corporate greed in the north, and so persistent has such bitter criticism and false representation been herald abroad, that seemingly, the general public has accepted the same to be more-or-less true. But, to nurse the belief that coal operators in the Northern Coal District have made money, is far from the true facts, as the following brief review of thirty years history of the lignite coal industry and the numerous business failures of those engaged therein, will show. In 1880 lignite coal for local and winter markets was mined in Boulder County at Marshall, Langford and Louisville; and in Weld County at Erie and in its vicinity. The more prominent producing mines in the early eighties were the Welch Mines at Louisville; Fox and Patterson Mine at Marshall, and the Boulder Valley, Northrup and Mitchell Collieries at Erie. Louis Nawatny’s 1863 Civil War draft record from Davenport, Iowa showing his place of birth as “Germany.” He’s listed as being 30 years old. Is Louisville, Colorado pronounced “Lewisville” or “Louie-ville?” A clue to properly pronouncing Lafayette’s neighboring town can be found in Boulder County property records. The second edition of Carolyn Conarroe’s 1978 book “Louisville Story” can be purchased at the Louisville Historical Museum, 1001 Main Street in Louisville, open Tuesdays, Wednesdays, Fridays and Saturdays. One hundred percent of the proceeds from each sale is donated to the Louisville History Foundation. Doug Conarroe’s 2017 book “80026: An illustrated History of Lafayette, Colo. — 1829-1929” can be purchased at the Lafayette Miner’s Museum, 108 E. Simpson in Lafayette. Open Tuesdays, Thursdays and Saturdays. Twenty percent of proceeds of each sale goes to the Lafayette Historical Society. 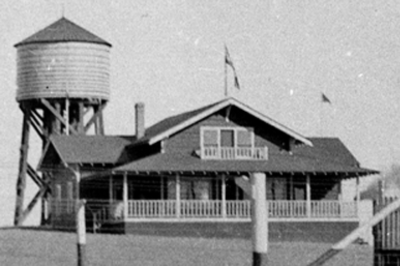 The Hecla Casino pictured about 1911 at the Hecla Mine, located at what is now the northeast side of Louisville, Colorado. Courtesy Lafayette Public Library. In the last few months, Balfour Senior Living of Louisville, Colorado, demolished and hauled the historic Hecla Casino to the landfill. 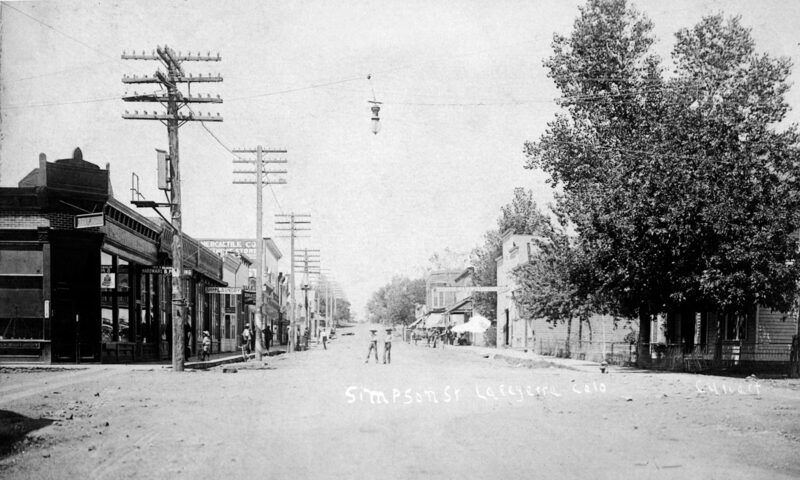 My family had often heard tales about tunnels connecting Main Street bars and businesses in Louisville, Colorado. One tunnel, it was said, went from the basement of Colacci’s restaurant (now The Empire Lounge & Restaurant) across Main Street to Pasquale’s (now Waterloo). Keep in mind that there was a pool hall at 816 Main prior to Colacci’s opening around 1955. After posting (in 2016) the Colacci’s tunnel question to Facebook friends who are Louisville natives, responses ranged from a tunnel that connected Colacci’s, Old Louisville Inn and the Blue Parrot to rumors of a tunnel under the Louisville High School building, torn down in the last few years as a part of the middle school reconstruction.